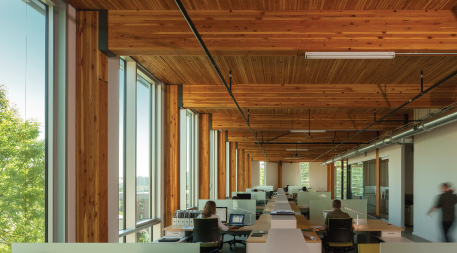 To install tall windows needed to reduce electricity demand for lighting, the Bullitt Center had to obtain a height variance from the city of Seattle and fend off a zoning challenge from a nearby apartment building. Photo by Nic Lehoux. 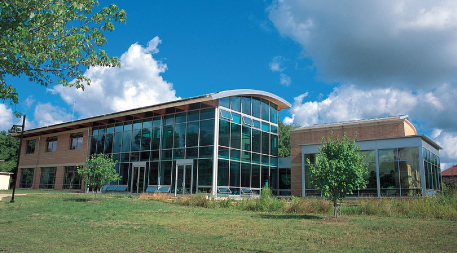 The Adam Joseph Lewis Center for Environmental Studies at Oberlin College in Oberlin, Ohio, dedicated in 2000, was one of the first net-zero commercial buildings in the U.S. Photo courtesy of Oberlin College and Conservatory. 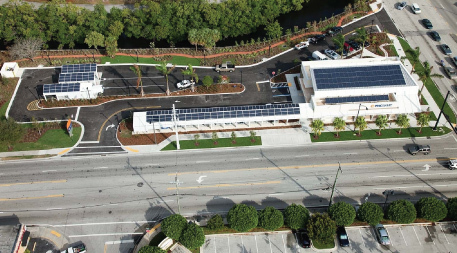 PNC Bank’s “green branch” in Ft. Lauderdale, Fla., adds an increasingly popular twist to traditional building construction: Direct current powers LED lights right off the facility’s 211 solar panels, eliminating the loss from AC-DC conversion. Photo courtesy of PNC Bank. Another unique pilot program launched by the city and based on a concept known as metered energy savings, Hayes says, may prove to be one of the biggest success stories yet.For the building’s rooftop photovoltaic array, which extends over the sidewalk like a mortarboard, the Seattle Department of Transportation initially invoked legislation designed for skyways when considering whether to permit encroachment onto a public right-of-way. Ultimately, however, it agreed to treat the array like an awning, easing the regulatory burden. The building now leases air rights from the city, an agreement Hayes says has been essential given Seattle’s relatively limited sunlight for much of the year. “We could not power this building if we had to do it within the limits of the building itself,” he says. Another unique pilot program launched by the city and based on a concept known as metered energy savings, Hayes says, may prove to be one of the biggest success stories yet in aligning government oversight with green building goals. The pilot, designed to help finance major energy-saving upgrades through a pay-for-performance contract, is taking its trial run with the Bullitt Center. “There is not another building or utility in the world that’s doing this.” — Denis HayesUnder the program, Seattle City Light, the city-owned utility, will sign 20-year contracts with investors who pay for energy retrofits — or in the case of the Bullitt Foundation, for efficiencies built in from the start. An energy meter calculates the accrued savings compared to what a standard commercial building would have used or what the same structure actually consumed before its makeover. The investor can then sell these saved kilowatt-hours, dubbed “negawatts,” back to the utility at a premium, creating a powerful incentive for continued performance. 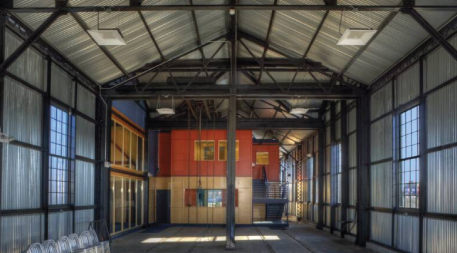 Old-building retrofits, such as this Richmond, Va., conversion of an electric railway car barn into a net-zero office, can introduce regulatory complexity into green infrastructure initiatives. Photo courtesy of Dovetail Construction Company, Inc.
Hayes compares the power purchasing agreement to the case of a wind farm investor who installs turbines on leased land and sells the wind-generated electricity to a utility. But until now, no one had ever based that arrangement on installations within a building that generate electricity savings. “There is not another building or utility in the world that’s doing this,” Hayes says. “This is the most pioneering thing that we’re doing.” Instead of agreeing to upfront energy efficiency incentives worth an estimated $70,000, Hayes says that the Bullitt Foundation’s long-term agreement with Seattle City Light could be worth about $40,000 per year — $800,000 in all. Forward-looking water management plans — especially those that involve using rainwater, cleansing it and returning it to the ground — have likewise clashed with longstanding regulations. Despite continuing legal battles over water rights, however, record droughts and threatened supplies are prompting new laws and policies around the U.S. that are loosening restrictions on rainwater harvesting and gray water reuse. Texas has arguably led the way, with multiple codes and laws aimed at encouraging more rainwater harvesting across the state. 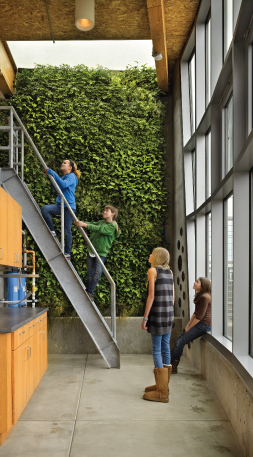 Projects such as the water- and energy-net-zero Bertschi School Living Building Science Wing in Seattle benefit when regulations make it easy to incorporate sustainable innovations. Photo by Benjamin Benschneider. 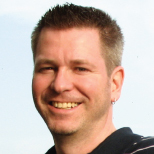 Rainwater harvesting has been explicitly allowed in Washington State since 2009. But the Bullitt Center’s rainwater treatment system has required complicated ongoing negotiations that are nearly unprecedented for a major commercial structure over how to safeguard a public water supply. Essentially, the Bullitt Center is being treated like a small municipality or rural community treating surface water for public consumption. A separate agreement has allowed the building to lease space from the city for its gray water treatment and discharge process. Water that drains from the sinks, floors and showers cycles through a green roof wetland planted with native rushes, and then through a second planting strip between the building and an adjacent pocket park. The demonstration project required a special permit to use the city land and sign-off by the county and state for a discharge process rarely used in urban areas. Beyond the individual precedents, Hayes and other advocates say Seattle’s innovative shift toward performance-based codes may provide one of the best templates for others to follow in the pursuit of green-building-friendly public policy. Many existing codes, Hayes says, describe the “worst possible building that you can build without breaking the law.” The city’s more proactive policies, he says, are instead considering the performance of the entire structure. Buildings that do exceptionally well in minimizing energy and water use, then, are freer to maneuver within the broad outlines of municipal zoning and land-use ordinances, just as the Bullitt Center was allowed to do under the city’s Living Building pilot. In September, the Seattle city council passed an updated energy code that gives owners the unprecedented option of following a compliance pathway that considers the building’s total performance rather than whether it adheres to a laundry list of individual mandates. “It’s such a huge departure from the way we do business,” says Jess Harris, green permitting lead in Seattle’s Department of Planning and Development. For owners choosing the performance option, the city will now certify buildings that meet an assigned energy target for 12 consecutive months after being at least 75 percent occupied. For its 2013 City Energy Efficiency Scorecard, the American Council for an Energy-Efficient Economy awarded Seattle the top ranking in the buildings category (and the fifth-highest score overall). Elsewhere, others are hoping to push the envelope even further. In Massachusetts, the Cambridge Committee for Net Zero Buildings filed a zoning amendment petition in June that, if adopted by the Cambridge City Council, would require all “large projects” (generally bigger than 25,000 square feet) to meet a net zero standard for greenhouse gas emissions. 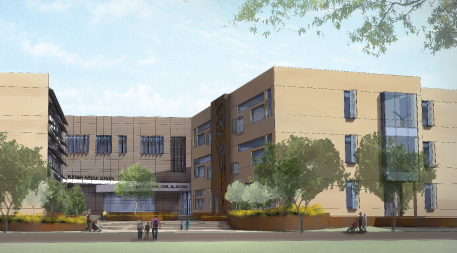 Efforts in Cambridge, Mass., to simplify zoning for green construction can benefit projects such as the future Martin Luther King Jr. School, which is aiming for net-zero energy consumption with the help of geothermal energy, solar panels and light-friendly architecture. Image courtesy of Perkins Eastman. When the Bullitt Center opened, Hayes said his foundation’s groundbreaking efforts would be for naught if no other buildings outperformed it within the next decade. As advocates continue to dismantle the remaining regulatory roadblocks, a new champion may be crowned well within that time frame. The Bullit Foundation got my university-level sustainable business students' attention with its innovative office building. The building generates hope as well as its own energy.